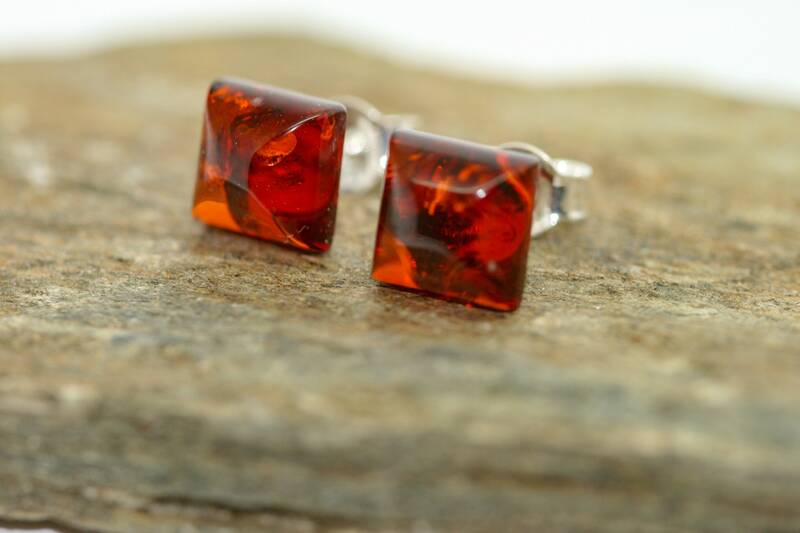 Baltic Amber Earrings fitted in a Sterling Silver setting. 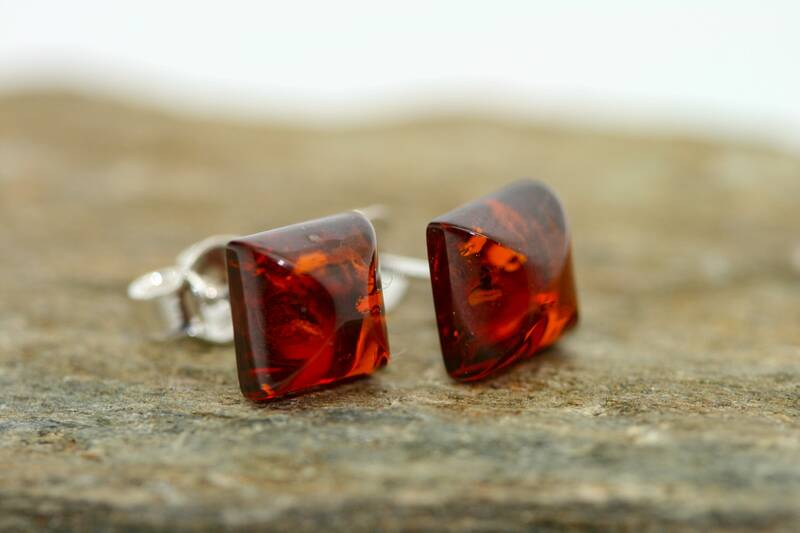 Silver earrings, amber stone. Stud earrings. 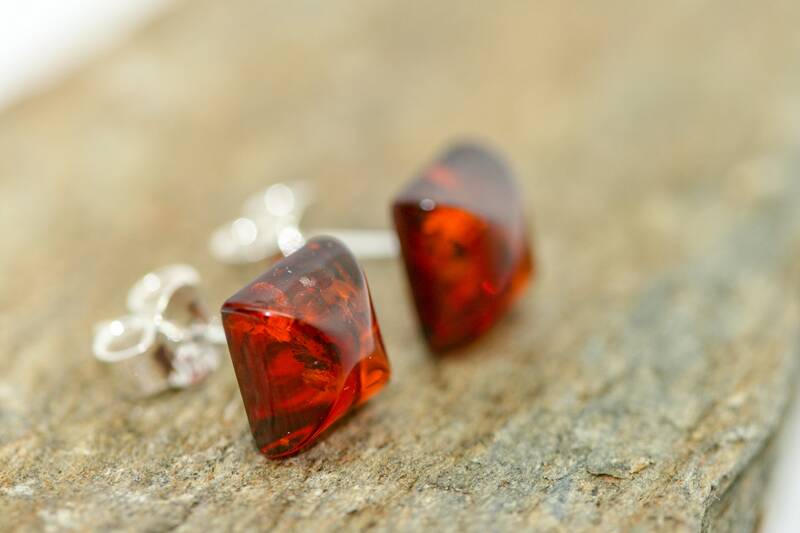 Amber bead earrings. 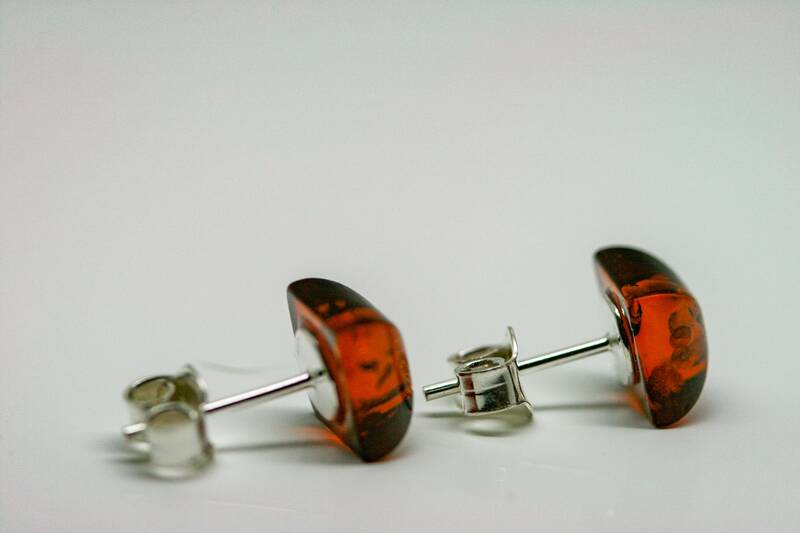 We are happy to present cognac amber, sterling silver stud earrings. 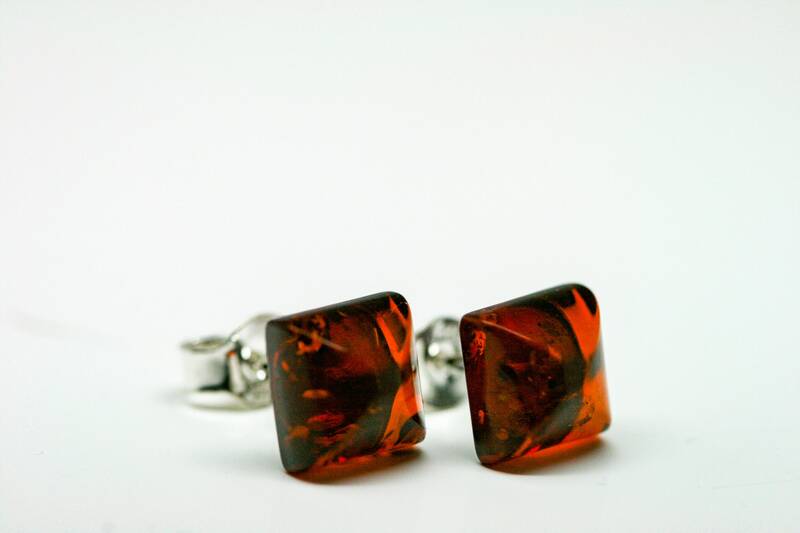 This elegant design will decorate nicely every ear. Length: 8 mm or 3/8 inch. Width: 8 mm or 3/8 inch. Depth (with stud): 13mm or 1/2 inch.